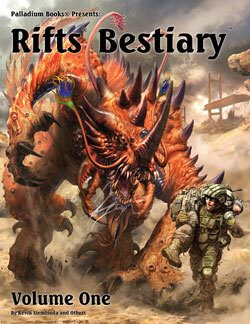 We have been pounding away on books, primarily Rifts® Bestiary™ Volume One. I’ve been writing like crazy. Otherwise, taking care of business and health matters, and exploring some possible small licenses. Over the last week here in Michigan where the Palladium offices are located, we have seen 6-8 inches of snow, a few days of sub-zero temperatures, sleet, freezing rain, a 36 hour temperature bump up to 43 degrees Fahrenheit with constant rain, a plunge back into temperatures in the teens, and there is another “big weather maker” (that means snow!) that should arrive on Monday. And other parts of the country have been hit even worse than us. So I thought it might be nice to have a surprise weekend RPG sale that carried us away to warm climates in our imaginations if not in reality. Check out the Rifts® Winter Escape Sale, below. 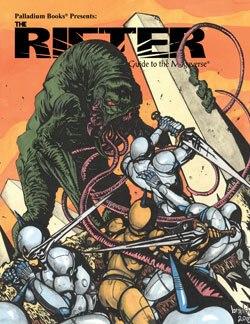 And FYI, The Rifter® Back Issue Sale ends in another week or so. Escape the snow, ice and freezing temperatures with this hot RPG sale. One weekend only – January 24-28, 2019. All titles offered enable you to escape the winter blahs by role-playing in warm parts of the Rifts® Megaverse®, from the Pits of Hell (it doesn’t get any hotter, right?) to the jungles of Dinosaur Swamp, Mexico and South America. Stay warm and unleash those imaginations. 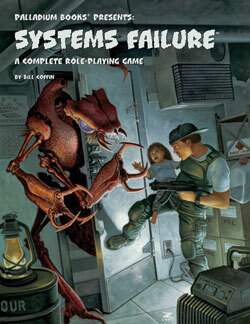 Note: A similar sale is available on DriveThruRPG.com for PDF versions of the titles listed below. Both sales END January 28, after midnight. 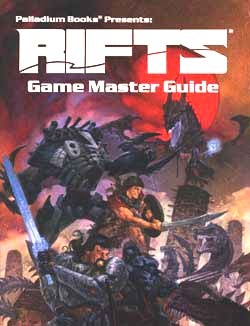 Rifts® Ultimate Edition – core rule book – Cat. No. 800HC – only $33.59 (normally $41.99). Rifts® Book of Magic – a Mega-Sourcebook – Cat. No. 848 – only $21.56 (normally $26.95), Fire Magic, Elemental Magic, and other hot stuff. Rifts® Dimension Book 10: Hades, Pits of Hell – Cat. No. 872 – only $17.47 (normally $24.95 retail). Rifts® Dimension Book 11: Dyval, Hell Unleashed – Cat. No. 873 – only $17.47 (normally $24.95 retail). Rifts® World Book 21: Australia – Cat. No. 834 – only $17.47 (normally $24.95 retail). Rifts® World Book 26: Dinosaur Swamp – Cat. No. 862 – only $14.67 (normally $20.95 retail). Rifts® World Book 27: Adventures in Dinosaur Swamp – Cat. No. 866 – only $14.67 (normally $20.95 retail). 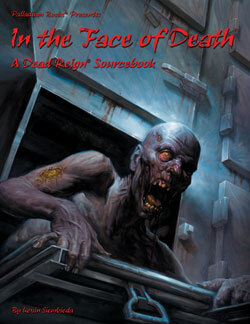 Rifts® World Book 28: Arzno, Vampire Incursion – Cat. No. 868 – only $14.67 (normally $20.95 retail). 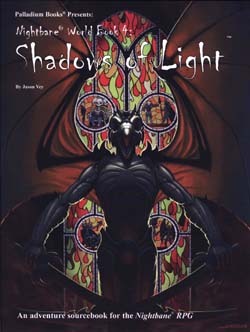 Rifts® World Book One: Vampire Kingdoms, Expanded – Cat. No. 802-E – only $18.89 (normally $26.99 retail). Rifts® Vampires Sourcebook – Cat. No. 884 – only $14.67 (normally $20.95 retail). 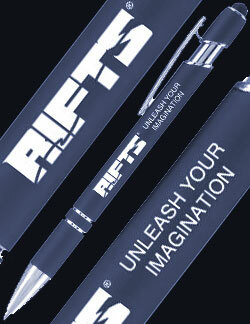 Rifts® Machinations of Doom – Cat. No. 871 – only $13.27 (normally $18.95 retail). Rifts® World Book 14: New West – Cat. No. 826 – only $18.89 (normally $26.99 retail). Rifts® World Book 15: Spirit West – Cat. No. 827 – only $17.47 (normally $24.95 retail). Rifts® World Book 6: South America – Cat. No. 814 – only $14.67 (normally $20.95 retail). Rifts® World Book 9: South America 2 – Cat. No. 819 – only $17.47 (normally $24.95 retail). Rifts® World Book 4: Africa – Cat. No. 808 – only $14.67 (normally $20.95 retail). Rifts® World Book 2: Atlantis – Cat. No. 804 – only $14.67 (normally $20.95 retail). One weekend only – sale ENDS Monday, after midnight, January 28, 2019. I am not sure how much I can disclose, but I think it is safe to report that Pinnacle is working on more than one new Rifts® book for Savage Worlds®. To that end I recently approved close to 50 pieces of color artwork, including cover art. And this is on top of 30 or so prior pieces of artwork. The majority of it was very good to excellent with a handful that knocked our socks off. Nice work. I expect to be reviewing and approving written text in a few weeks. Keep up the great work, Sean, Shane, and company! We continue to add more negatives (many on sale) and original art to my ebay store. As noted in the last update, people are really starting to get into the one-of-a-kind negatives of old books. Cool, because I think they look great and I love them. I hang onto a few select pieces, but I have been offering most for sale in my ebay store and at conventions. There are several freelancers who snap up their favorite art and text pages as they become available, and we saw an ever-increasing number of negative requests in Surprise Packages this past season. Of course, original artwork is always popular and both are available in my ebay store, along with limited editions, rare RPG books from my own collection, toys, and other collectibles. Alex and I recently added some Charles Walton artwork and a few dozen negatives (Cyber-Knights, Mindwerks, Rifts Index 2, and others). If there is a page you might be interested in, contact us, tell us which book and which page(s), and we’ll see if it is available for your consideration. This is my number one focus until it is done. I want to wrap this up and get it to you as quick as I can. I’m having a blast revisiting and updating familiar creatures as well as working on new beast! As stated in the last Update, I’m going to try to finish this title quickly. Some writing is done and I am burning with ideas. Some of the art is also done and I will be assigning more to two additional artists. Like I said, I’m hot to finish Garden of Gods and may release it as a Raw Preview first. 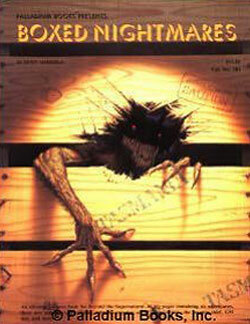 Must wait until the two Rifts® Bestiary books come out before I can jump into it. Assigning art and making notes as new ideas hit me. Already have a few artists lined up. So many books I want to finish and get into your hands. Rifts® Chaos Earth®: Psychic Scream™ is one of them. I cannot wait to finish the editing and writing additions to it. Escape the snow, ice and freezing temperatures by getting PDFs of select Rifts® titles set in warm parts of the Rifts® Megaverse®, from the Pits of Hell to the jungles of Dinosaur Swamp, Mexico and South America. Stay warm and unleash those imaginations. Note: A similar sale is on now at the Palladium Books website for physical versions of these titles. Both sales END January 28, after midnight. 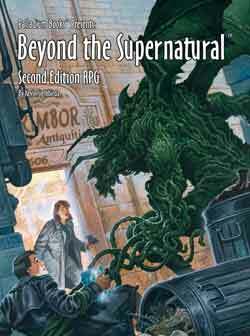 Just some of the 200+ Palladium PDF titles available on DriveThruRPG. Rifts® Book of Magic – a Mega-Sourcebook – Cat. No. 848, fire magic, elemental magic and other hot stuff. It has been a busy and productive week. Had to deal with some business issues, put together some swag for various convention events and had a couple of meetings, but I’ve mostly been writing away. The guys have been doing likewise as we gear up for a lot of releases. 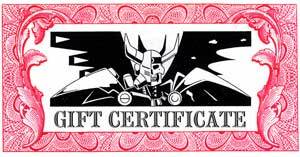 I hope you enjoy the Rifts® Winter Escape Sale (and PDF versions of books available on DriveThruRPG) and the Rifter® Back Issue Sale. Stay warm and keep those imaginations burning bright.